Spring has hit, and you’re telling yourself you need a little bit of sun to warm up your face after a long winter. Except you’re super pale, the weather is still cold and you have no idea what to do with your skin. Girrrrrrrrrl, fake it til you make it! If there is one thing you need to buy this spring/summer for your makeup collection, it’s California Bronze by bareMinerals. it’s a brand new product that recently launched, and I’m here to tell you it’s the best matte bronzer I’ve used — even after only trying it out for an entire week (psst: it’s only because you need the tinest amount. Best bang for your buck here!). Two universally flattering matte bronzers (The Ocean View & The High Dive) and one golden highlight called The Shining Moment. I was flipping through my latest Ulta catalogue and noticed that bareMinerals came out with a bronzer duo + a highlight for summer, appropriately titled California Bronze. I e-mailed my contact from bareMinerals asking if I could review it. Because if anyone knows bronzer, it’s me. All I need in life is a foundation, concealer and bronzer, then I’m set for life. The other makeup items is simply a bonus. And just because I received the product for free to review doesn’t mean you shouldn’t trust my opinion. You should trust my opinion because I’m always 100% honest and tell you how it is. Seriously, go back and review my other beauty reviews. They’re not all honky dory! Not only that, I wanted to try this product out, so I made it happen by reaching out to the company instead of vice versa. Just because I live in California doesn’t mean I am a sun worshipper! I am indoors most of the days, trying to retain this youthful look I’ve got goin’ on here in my thirties. Ya can’t take wrinkles and and leathery skin back. Can ya. Sunless tanner + bronzer = my bff. I’ll get into the sunless tanner routine a little later in April, but for now. I’m going to create a makeup look using it so you can see how it works on my pale skin. 1. Bobbi Brown Extra Eye Repair Cream: Apply an eye cream before your makeup. 2. Philosophy Full Of Promise: This is a firming neck cream, but I asked my philosophy friends if I could use this on my face, since it was feeling extra dry lately. Sure enough, you can! Apply a nice helping of moisturizer to the face before applying makeup. This will make sure your foundation doesn’t stick to any dry patches. 3. 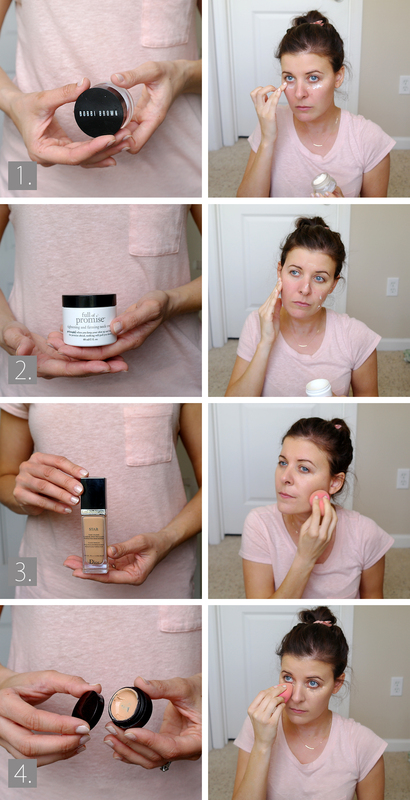 Dior Star foundation: One of my favourite go-to foundations lately. I use a damp beauty blender sponge to achieve a dewy look. 4. Laura Mercier concealer: I’m trying to use up many of my makeup items before purchasing new ones. Here is a Laura Mercier concealer I used under the eyes to brighten them up. Before we get started on the next few steps, I thought the animated image would help you understand where I will place my bronzer in a “3” shaped motion on either side of the face. 1. bareMinerals California Bronze trio: The bronzers are on either side of the trio, the middle is a powder highlight. Something I prefer to skip over because I usually like to use cream highliters to achieve a more dewy look to the cheek bones. I’ve used it a couple of times, but I definitely won’t use it up as quickly as I would the two broznzers. If you’re a little pale, use the one on the left titled The Ocean View, and if you’re already a bit darker use The High Dive (in which case I used the latter for the tutorial because colours always seem to wash out when I photograph this kinda stuff for you). Use a fairly light hand, these two bronzers are so pigmented you’ll only need a touch — which is excellent, as the product will last you that much longer. I’ve also used two of the bronzers together to create a multi-dimensional looking tan, just layering ever so carefully. I love it. 2. Jordana Lengtheinig Mascara: I picked this mascara up at Walgreens a few weeks ago, asking the lady at the counter which of the 3 Jordana mascaras was the most popular. Apparently it was this lengthening one. I bought the volumizing one before but it clumped so bad I had to throw it out after a month or so. This one isn’t too bad! I’d repurchase. 3 & 4 bareMinerals moxie lipstick in Express Yourself & Buxom lipgloss in White Russian: My go-to peachy pink lip colour lately. I’m already half way through the lip gloss. Good thing I know where to buy the full sized! Do you use bronzer on a daily basis? On the days I wear makeup, absolutely. Otherwise I feel like my skin looks to “flat”. What is your favourite item in your makeup bag? I always say Fall, but living here in California I’m pretty cool with the warm sunshine happenin’ daily. 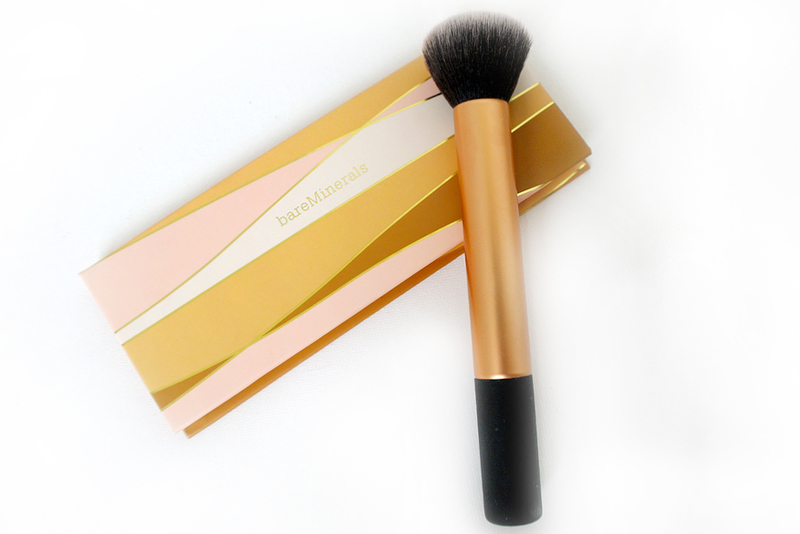 bareMinerals California Bronze is now available in stores, and retails for $29 USD / $35 CDN. Disclosure: I received the bareMinerals products to review (but those were ages ago) and I already mentioned I asked for the bronzer to review! No one ever tells me what to write, so all opinions are always my own. I don’t need to wear makeup, so I don’t, which means I am clueless about all this stuff. Sounds like you really know your stuff. I love a good bronzer! I use Bahama Mama from the Balm everyday for some contouring. Nice GIF! What a great way to show how you apply the product. Did you use the highlighter? I’ll have to check this out next time I’m at Sephora. @Lyndsay: I don’t think I’ve heard of that bronzer before – I’ll have to check it out next time I’m in Sephora. As for the hightlighter, I used a bit on my cheekbones but didn’t put it in the tutorial since it doesn’t show on camera that well. Beautiful, glowy look for summer:) I am a Benefit Hoola bronzer lover! @Joanna: That was the first bronzer I’ve ever purchased! I love the perfect colour it has. But I stopped buying it after they revamped their packaging and then put less bronzer product in there. You’ll notice their blushes contain 0.32oz of product yet their bronzer now only has 0.28oz (used to be the same) and still costs the same price. Gah. That looks wonderful! There’s nothing like a good bronzer to make you feel like you haven’t been out of the sun for three months. Stacie @ Divine Lifestyle recently posted..Mom Me-Time Sweepstakes from Best Western – ENTER TODAY! I’ve used bronzer a few times. I normally reserve it for when my husband and I go out on the town. So pretty! Your make up is always flawless and you always look perfect! I love this look! Super chic! Wow! You look very pretty! I like your makeup tips and I’m glad you’re share it thank you. That bronzer really does look great on you. I’m loving the color of the lipstick too! I really like how the bronzer looks on you! So many tend to look fake but it really gives you a nice natural sun-touched look. Wow, those bronzer colors looked too good. The packaging is also nice to carry conveniently when traveling. Such a great tutorial! Your skin looks great and the makeup looks great on you as well! I’m not the best at makeup but I’m going to have to try this product! Thanks! I have a close friend who just got a lot of bare minerals products I have been wanting to get some too. Your look is beautiful! You’re so pretty! Those colors look so nice on you as well. Thanks for the tips! That is really amazing, you did a great job and look beautiful! I love, love, love bronzer. I used to use blush but I switched to bronzer a year ago. It’s much more natural looking. I don’t wear makeup a lot, but bronzer is great with some mascara and lipgloss. It just makes you look brighter and more vibrant I think. You look great! I love how you take all the different pictures. I love the little animated one too. I love bronzer. I use it as blush. Nikki recently posted..Fruits & Veggies! It really looks good on you. And if I still lived in southern California I’d love all four seasons, too. Here in northern Virginia? Not so much! You look gorgeous! Even watching and reading tutorials on how to apply make up, I still don’t have enough know-how to do it. I don;t really wear a lot of makeup, but I would love to try the bronzer this summer. Mistee Dawn recently posted..Friendly Bands Sunshine Loom makes a great Easter gift! You look so amazing, like you’re glowing! I love bareMinerals makeup line, but have not tried their bronzer yet I’m waiting till it’s closer to summer. I love Bare Minerals products. Though I don’t really wear makeup anymore, it’s good to know that there’s good stuff out there. breanna recently posted..April Fools’ Jokes For Kids! Gorgeous! 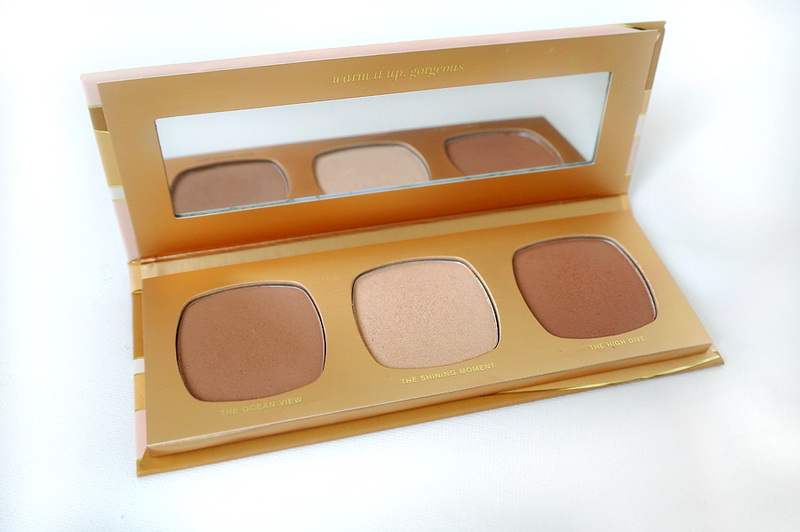 The small contouring is perfect and those shades are perfect for your skin tone. Love your step-by-step! 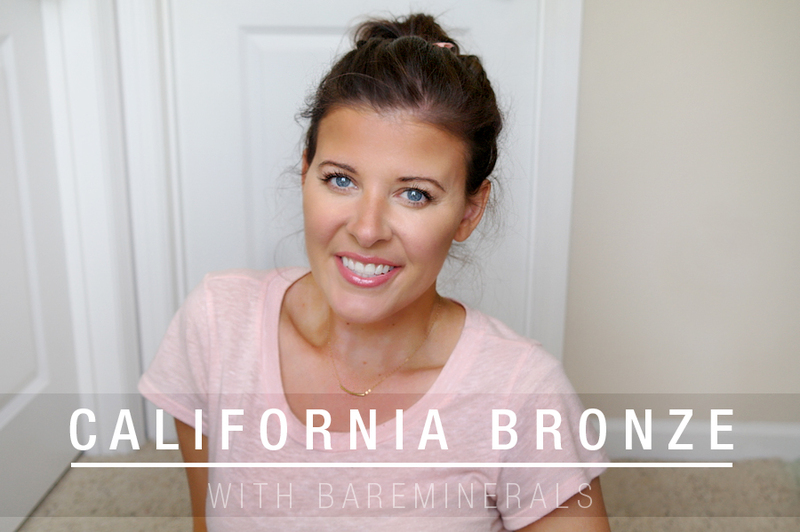 I love my California Bronze by bareMinerals! It is just the right amount of color for me! This is something i should really try. I have gotten so pale this winter. I will have to try your tips. I have not used bronzer for years. It looks so good on you. I will have to give it a try again. I love that look! So effortless and natural. I’ll have to try this out – I normally stick to MAC products. But, I do like how these turned out. I think you look great! I don’t use bronzer myself, but that’s just me, and I’m one pale gal! I need to borrow some of your makeup! I am loving that Bobbi Brown product and the colors of that palette! Krystal recently posted..Confetti & Cupcakes: A Capri Sun Roarin’ Waters Kids’ Choice Award Party! I don’t wear makeup often, so I have yet to try a bronze but this one looks perfect and I love how natural you makeup looks!